Have you ever wished there was a book about spiritual awakening that didn’t take itself – or you – so seriously? This is it. 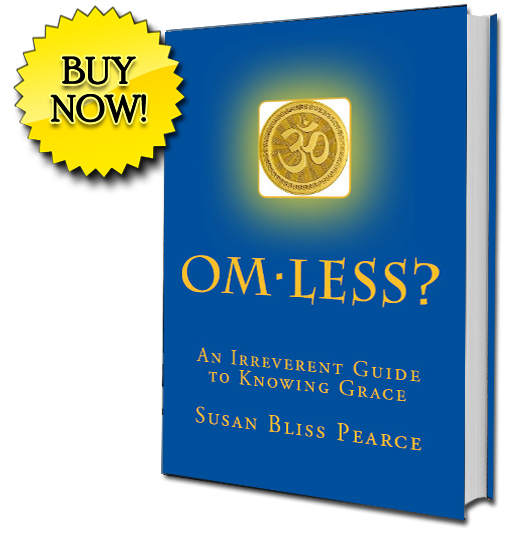 OM-less? describes some of the classic paths we choose (consciously and unconsciously) to find meaning in our lives. But our Travel Guide, Susan Pearce, constantly reminds us that travel is supposed to be FUN. She talks, often tongue-in-cheek, about how to recognize what path we are on right now: Happiness? Distractions? Achievement? Knowledge? She also assures us that guidance is always available. Whether we call this guidance God, Insight, Intuition-or Grace, as she does-is up to us. The paths we choose are up to us. No pressure. That’s because the ultimate destination is always right in front of us: the peace and joy of Connection, of Home, of OM.